We are proud to serve the advertising needs of Roanoke, Lynchburg and Southwest Virginia. With our extensive inventory of Billboards and Digital Displays and the best team in the business, we will help you craft a campaign and successfully reach your target audience. Nestled in the heart of the Blue Ridge Mountains, the beauty of Roanoke, Virginia is unparalleled. Visitors and residents alike enjoy a variety of outdoor activities and local attractions. The Salem Red Sox baseball team entertains Roanoke sports fans. Virginia Tech and Virginia Military Institute feed Roanoke's sizable student population while large businesses and corporations such as Advance Auto Parts, Norfolk Southern Railroad and ITT Night Vision boost the city's flourishing economy. 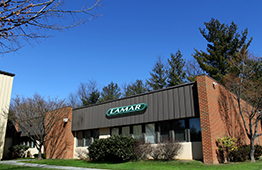 Lamar of Roanoke is the largest billboard company in Southwest Virginia and the exclusive provider of Digital Billboards throughout the region. With so many opportunities to showcase your message, the Roanoke and Lynchburg areas provide a fantastic backdrop to introduce new products and services, initiate a call-to-action or highlight the success of your brand.